What I love most about this outfit is that is is simple- no jewelry, no fancy shoes, or even much color. 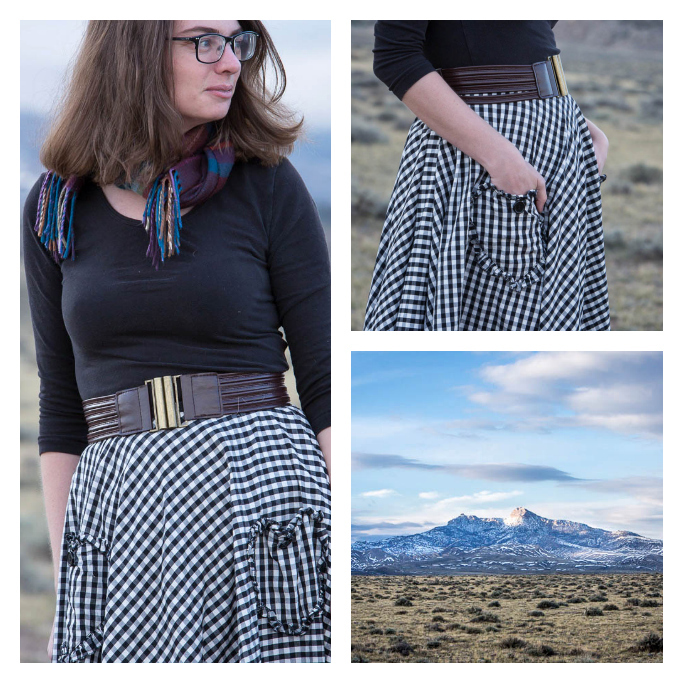 Oh, sure there is a belt and a scarf, but both have function as well as form. These are also all items that have been my possession a while now- all at least a year- and are each workhorses of my wardrobe (Yes, even the scarf is now that October has decided to blow such cold winds each night). Seeing inspiration on Pinterest, I decided to do something I hadn't done in years- turn a dress into a skirt. 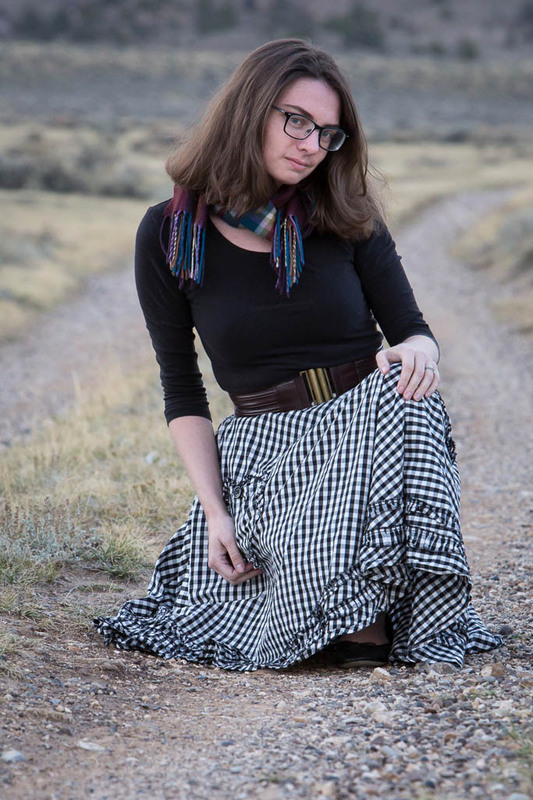 And not the put-a-sweater-over-a-dress kind of "skirt" (which is layering, let's be honest, not, um, "skirt-ing"), but folding over the top to make a proper skirt. Other bloggers do this trick with such ease as a way to expand their wardrobes, but I always ended up feeling a bit...bunchy, when I tried it. For whatever reason, no bunching occurred this time around- hallelujah- but the skirt of this dress drapes so well, it wouldn't be a big deal. More than just clothes though, I feel like my life is...streamlining a bit, becoming simpler, a bit. In it is mainly my husband, my dogs, the rooms of our house, books, and many, many cups of tea. Friends we see every once in a awhile and extended family only a little more. I may get to chat on the phone with someone, or work with someone, but it is a step removed. Part of married lif,e or part of winter coming on? A sort of hibernation? Or is it both marriage and winter together? It is pleasant in it's own way, though I wonder what winter (such a long season!) will be like if this continues. I could crawl into a good book (or several dozen) and just stay that for weeks on end, but even an introvert like me, might want a bit more than that now and then. Ah, well. Maybe we will escape to an adventure this weekend. What about you? Are you more introverted or extroverted? Love this look!! That dress as a skirt is so perfect :) I usually end up feelin Bunchy too but with the right pieces it works!! <3 Thinking of you today! This is such a beautiful classic look! 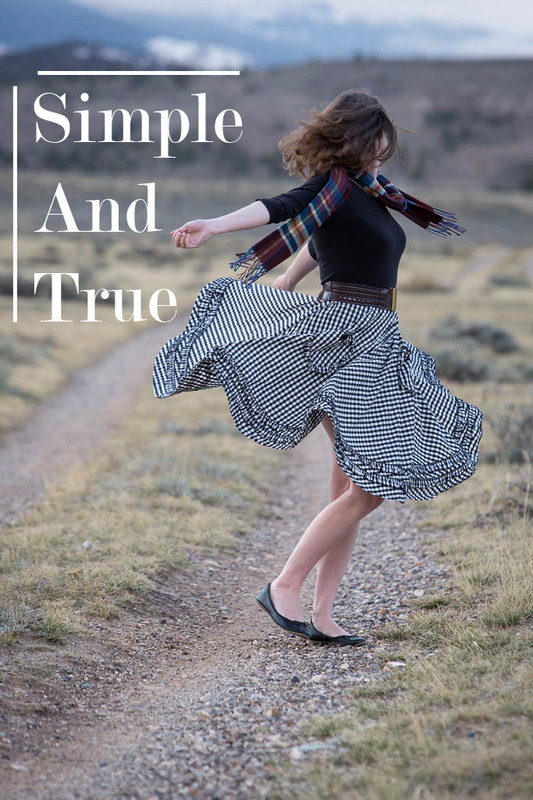 I love how styled your dress as a skirt and that first picture with your twirling is lovely! cute! love that first picture... it's so pretty! Love that twirly picture! You look great. I never know how bloggers turn a dress into a skirt and make it look so light! I feel like it gets super bulky for me, and I'm bottom heavy! Two things tend to help me turn a dress into a skirt. First is that you choose a skirt with a lot of volume, like a circle skirt. Second when you fold the top over, belt the dress around you, under the skirt but over the top part of the dress. This helps to keep it from falling down. I think I like this dress better as a skirt than a dress. Here it is Thanksgiving this weekend. I'm getting ready to start baking a pumpkin pie. Dude, you did a great job turning that dress into a skirt! I love this (obviously hehe)! <3 I like the additional mix in prints with the colorful plaid scarf. ^_^ To answer your question, I would have to say I'm more of an introvert. I'm actually more outgoing on the web than I am in real life. It takes me a loooong time to warm up to people. You can imagine how conflicted I am about having a public blog. Hehe. I'm actually quite introverted too. I've noticed a lot of bloggers identify themselves as introverted. The screen seems to make things seem safer perhaps, or is a way to be social in a way that is on one's own terms and therefore not as draining. 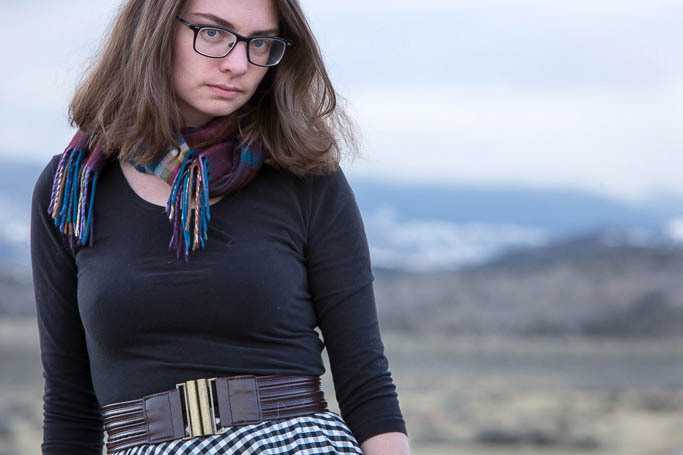 I was going to say that I loved this skirt, but then I saw the pockets and knew exactly what dress it was -- and was so surprised that you got it to look so un-bunchy!! That's definitely a problem when I try to layer things over dresses, etc. But this works wonderfully! I have found it definitely helps to belt the dress-turned-skirt under the dress as well as over it. Seems to help keep things from slipping down and bunching some. And, well, a volumous skirt like this one helps too. Do you have this dress too, or others from Hell's Bunny? LOVE the first photo - just perfect! The skirt is so adorable, I'd love to have that in my closet, too! I've been really stepping into the direction of simplicity too lately though it's probably more of a gradual thing for me since I'm so apt to pile on tons of little details. Love this Kristian! The dress as a skirt works so well. Now I want to search my closet for a piece like this and do the same thing! Beautiful! I love this Hell Bunny dress and the way you've styled this outfit completely differently just looks really lovely. I wish I was better at remixing outfits! 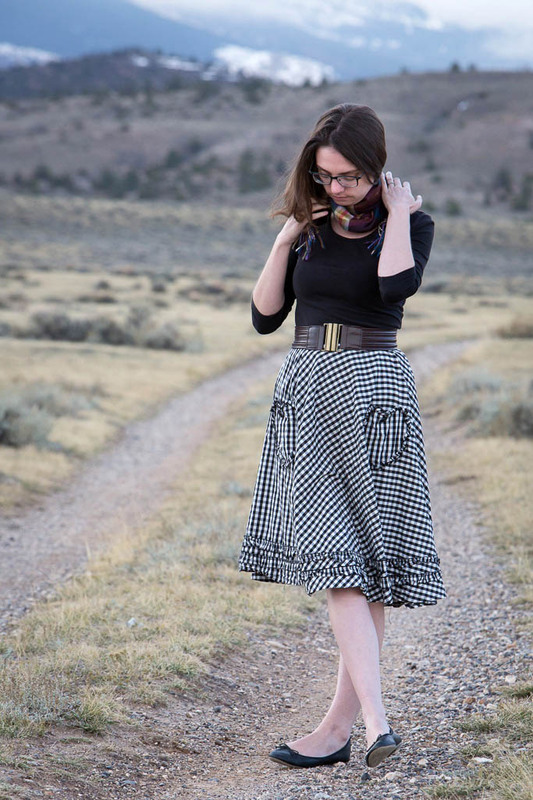 That skirt is just so cute - I absolutely love the pattern! I love the simplicity of this but it still is so styled. It's great when a dress will cooperate into a skirt like that :) It looks so beautiful where you live!